It has been three months since the US Supreme Court struck down the 1992 nationwide ban on sports betting. The historic ruling led up to the legalization and launch of sports betting offering in several states and started discussions over the potential of a regulated sports betting industry in multiple other states. Delaware, New Jersey, and Mississippi were the first to roll out wagering products, while West Virginia and Rhode Island are gearing up for the launch such offering in a regulated environment. Interest in sports betting has also been picking up in Pennsylvania, where two of the state’s 12 casinos have applied for permission to offer such products to its customers. The regulation of sports betting in the Keystone State comes as part of a sweeping gambling expansion process that will also see the provision of online gaming services to residents. 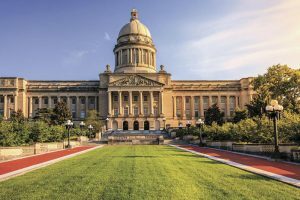 And while the above states decided to jump on the legal wagering bandwagon very shortly after the long-running ban was lifted, Kentucky lawmakers have taken a more cautious approach. Three sports betting bills have been introduced in the state Legislature so far, but all three are yet to pass a committee vote. It can be said that former Kentucky Governor and current Senator Julian Carroll is leading the sports betting drive in the Bluegrass State. The legislator submitted a bill on the legalization of sports betting in the state in June. He is also part of a nine-member working group that was assembled shortly after the SCOTUS ruling and vested with the responsible task to create a feasible sports betting regulatory system that will be discussed more broadly in the state Legislature during the next legislative session. With that said, Kentuckians will clearly have to wait at least until next year to be able to wager on professional and amateur leagues. The nine-member working group, comprised by both Senators and House Representatives and members of both parties, has had two meetings so far. And according to a report from Sports Handle, the second meeting saw two important decisions being made – taxation of regulated sports betting operations and integrity fee for professional sports leagues. In an email to Sports Handle, Sen. Carroll has said that the group has decided on the basis for taxation when and if sports betting is legalized in the state. Wagering will thus be taxed on net revenue, but a rate is yet to be determined by lawmakers. The taxation decision represents a major diversion from Sen. Carroll’s bill from June this year. The lawmakers called for taxing sports betting on handle. The proposed structure mirrored how pari-mutuel wagering, which has been legal in Kentucky for some time now, was taxed, the lawmaker explained in previous comments on the piece of legislation. However, it can be said that net revenue is globally recognized by gambling companies serving regulated markets as the most reasonable basis. In other words, taxing sports betting on handle could have affected Kentucky’s lure to major sports betting companies. And it is believed that the state could be really attractive to global gambling giants, particularly when bearing in mind its rich horse racing heritage. With sports betting growing into an almost nationwide mainstream venture, more and more parties are becoming aware that what could turn into an industry worth hundreds of billions of dollars is currently in the making. And more and more parties want a piece of that large and juicy pie. The US professional sports leagues have become particularly vocal about their right to benefit from the legalization and regulation of sports betting. 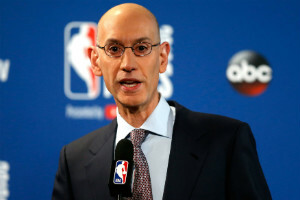 NBA Commissioner Adam Silver has been among the staunchest supporters of the idea that the NFL, NHL, NBA, and MLB deserve to receive a cut of the profit. In June comments, Mr. Silver said that the NBA alone will spend more than $7.5 billion on preparing the upcoming basketball season. And given the fact that that product will be used by casinos, betting halls, and other facilities to generate a profit, they feel they should receive an integrity fee just as musicians receive a royalty for their music that is being streamed all around. During their latest meeting, the nine members of Kentucky’s sports betting legalization working group have decided that the state’s law on the matter would not include the distribution of an integrity fee to the nation’s professional sports leagues. It is also important to note that the six states that have legalized sports betting so far have not introduced an integrity fee as part of their regulation effort. What Is Next for Kentucky’s Sports Betting Regulation Effort? The nine lawmakers tasked with crafting the state’s sports betting regulatory framework have quite some work to do. For instance, they will have to decide where sports betting will be offered and who will regulate the industry. Kentucky does not have commercial Las Vegas-style casinos. 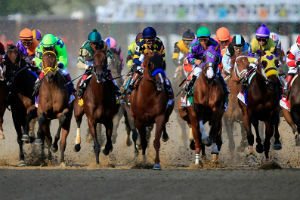 On the other hand, the state is home to nine racetracks, including the extremely popular Churchill Downs which annually hosts the Kentucky Derby. Under Sen. Carrol’s bill, sports betting will be allowed across the state’s horse racing venues. Under a bill filed in the House of Representatives, the state lottery will regulate the provision of sports betting in Kentucky and sports betting products will be offered across retail lottery outlets, in addition to the nine racetracks. Tax revenue distribution is another important matter that will have to be decided upon. The Senate bill looks to close a very huge and important gap and focuses on the state’s cash-strapped pension systems. It is yet to be seen whether that proposal will make it to the final draft of Kentucky’s sports betting legislation. 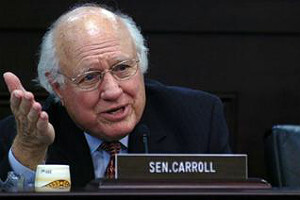 Sen. Carroll has said in his e-mail to Sports Handle that their most important goal is to protect Kentucky’s citizens, despite the potentially huge revenue source that will be created with the legalization and roll-out of a regulated sports betting product.